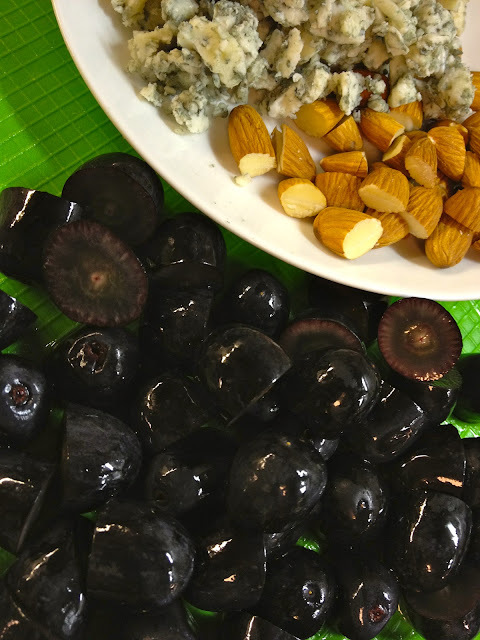 Super as a snack, a welcome addition to cheese plates, providers of a pleasant pop of flavor in fruit salads, and last but certainly not least, the source of the indispensable wonder that is wine. But how often do you see them a dinner plate? In my opinion, not nearly enough. 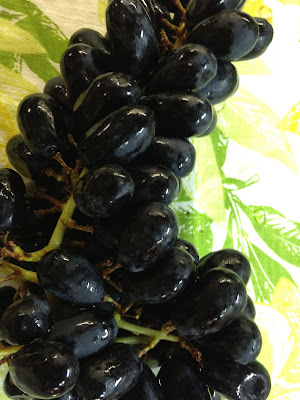 This week, a really amazing bunch of grapes from a California-based producer called The Grapery inspired me. Check them out HERE. Jet black and at peak ripeness, these grapes were exceptionally sweet, plump, and jammy. Naturally, I just had to work them into at least a few of our meals. The result? An elegant salad fit for company that my husband went bonkers over, and a really healthy, super easy entree of grape and spiced pork kebabs that easily adapts into a crowd-pleasing tapa or appetizer. Prep Time: Requires at least 1 hour marinating time, and can sit up to one day. Greens or Garnish of your choice. We used Tatsoi (a bittersweet, small-leafed Asian green quite like spinach). At least one hour before or as much as a day before, combine the Curry Powder, Cumin, Ground Coriander Seed, Paprika and Cinnamon. Thread Pork Chunks and Grapes onto your skewers, alternating each ingredient. Spread spice mix on a large plate or other flat surface and dip the skewers into the spices to coat evenly, sprinkling on the excess as well. Next, prepare the marinade. In a small bowl, combine Orange Juice, Olive Oil and minced Garlic. Stir to combine ingredients. Place the skewers in an airtight container and pour the marinade over them. Let sit for at least an hour or up to a day, turning once in a while to distribute the liquid evenly. To cook, heat a grill or grill pan to medium high heat. Place skewers on the grill and cook on each side for about 4-5 minutes until the Pork is cooked through but not dry. 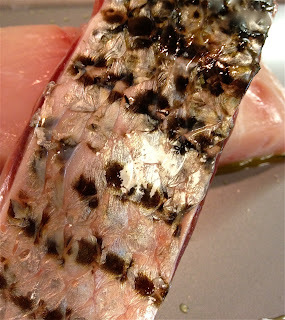 Remove from grill and season liberally with Salt to taste. Allow to sit 4 to 5 minutes. Sometimes slow and steady really does win the race. If you're looking for a foolproof way to cook subtly flavored proteins, poaching is a great technique because it uses low heat combined with liquid to slowly and gently bring them to delicate perfection. Today, we'll be using an unexpected liquid element to poach our fresh Halibut Fillets - Olive Oil! Halibut is a firm, meaty, white-fleshed fish that is quite versatile. Because it is not particularly oily, this preparation gives it a lush, silky texture without adding extra heaviness. Your fillets will emerge moist and perfectly cooked. Afraid of all that oil? Don't be. It's amazing how light and subtly rich the fish becomes. The technique of poaching works best when paired with simple flavors. This dish is perfect for a dinner for two or can easily be adapted for an elegant dinner party. Best of all, it's super fast and and easy. Your guests will be wowed. Preheat oven to 250 with rack placed in the middle. Pat Halibut Fillets dry and season with Salt and Pepper to taste. Let the Fish sit about 10 minutes at room temperature. Arrange Lemon Slices in a single layer on the bottom of an 8 inch square glass baking dish. Place Fish Fillets over Lemon Slices. Top Fish with all of the Capers, and place remaining slices of Lemon over the Fish. Sprinkle with half of the Parsley. Next, pour all of the Olive Oil over the Fish. Cover the baking dish with a lid or wrap tightly with one layer of aluminum foil. Note: If you have increased the portions to serve more than two, check the fish at 1 hour but you may have to leave it in closer to 1.5 hrs. When cooked, the Fish should be an opaque white and flake easily. Top with an extra sprinkle of Salt and Pepper and keep some of the Lemon and Parsley on the Fillets when plating. Sprinkle with the remaining parsley and garnish with Parsley Sprigs. I spooned a teency bit of the cooking liquid over the fish to add extra moisture and taste, but this step is optional. The other day, I received a very thoughtful gift from my sister in law. It was a beautiful cookbook celebrating one of our favorite places in the world. "Just because" gifts are always extra sweet, but this one happened to be amazing. 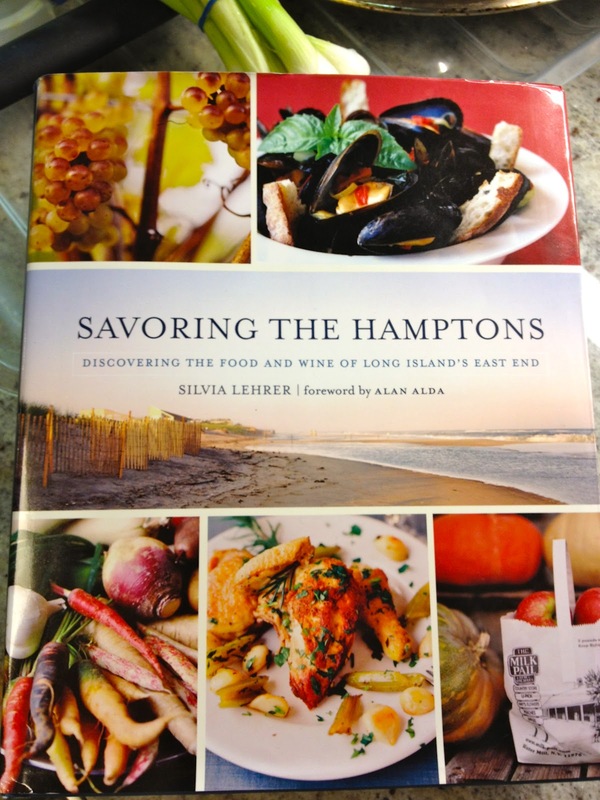 Silvia Lehrer's book, Savoring The Hamptons, includes an exhaustive listing of the many noted restaurants, wineries, and specialty food and produce purveyors in the Hamptons, along with easy recipes that they have either created and inspired. The East End of Long Island is a place that holds special meaning for me and my family. When are lucky enough to be "out east" we tend to stay away from the vibrant social scene that the area is known for, opting instead for a lazy day on the beach, a quick visit to the North Fork to check out a winery, and at night, family meals at home, cooking and grilling with the best fresh ingredients the pristine local land and sea can offer. 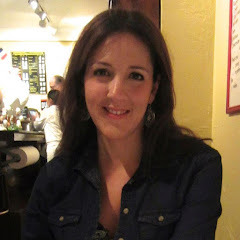 For today's post, I thought it might be nice to adapt a few recipes from Savoring The Hamptons as a way to share a taste of one of my all time favorite destinations. 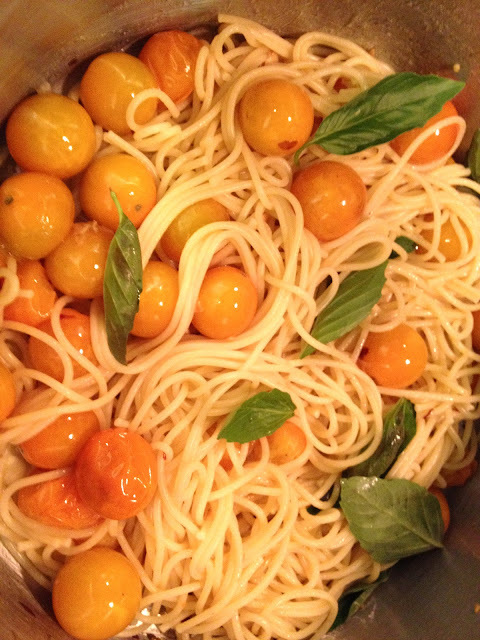 Let's start simple with an easy and light pasta dish with a quick cooking fresh tomato sauce. Coulis is like the quick-cooking cousin of the raw sauce we explored a few weeks ago, Crudaiola. It's basically a fresh preparation that is only slightly cooked. 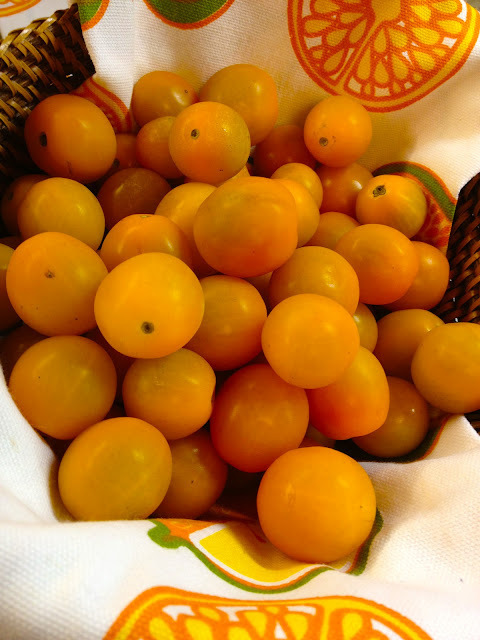 Anything can create a Coulis - berries are a popular ingredient in dessert coulis, usually used as toppings. Back to our tomato version - in just five minutes, a light tomato puree develops to create a super fresh tasting sauce. You'll have just enough to gently coat slender stands of angel hair. Use the freshest tomatoes you can find and don't forget to de-seed. 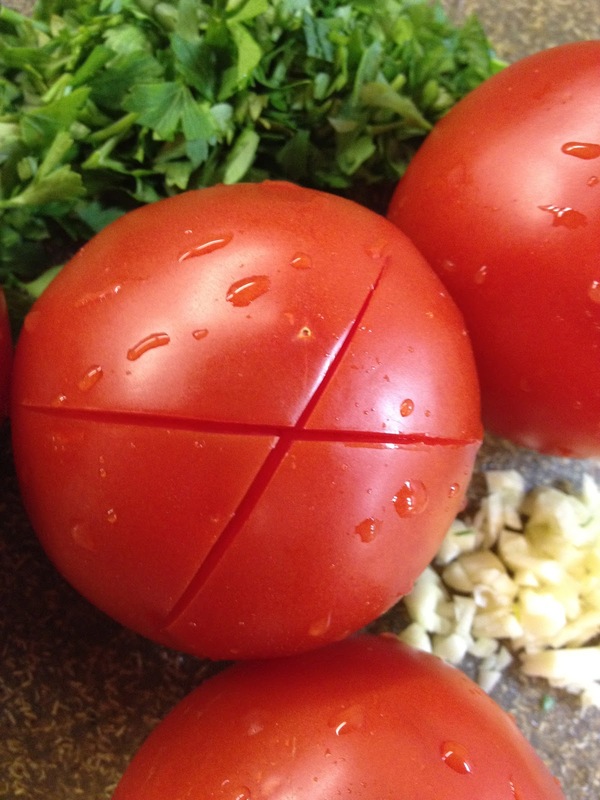 To prepare the Coulis, make an X on the bottom of your tomatoes. Boil up some water in a small saucepan and plunge tomatoes one by one into the boiling water for 40 to 50 seconds. When you pull them out, transfer them to a bowl of ice water to stop the cooking. 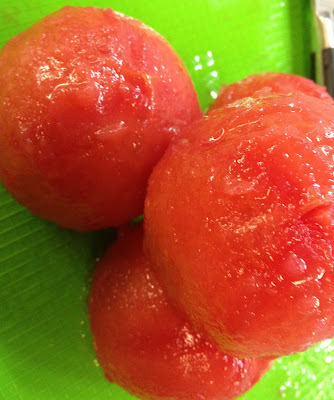 When cool enough to touch, peel, seed and coarsely chop the tomatoes. In a saucepan, heat up the Oil over medium heat and sauté the Shallots for up to 2 minutes until they are translucent. Add the Garlic and continue to sauté for 40 to 50 seconds until tender. Add the Tomatoes, Basil, Parsley, Salt and Pepper to taste. Lower heat a bit to a simmer and cook for 5 minutes. Taste and adjust seasonings if you like. Once your pasta water is boiling, prepare pasta according to the box instructions or until al dente. Drain and toss with the Tomato Mixture. Serve with grated cheese and sprigs of Parsley to garnish. What goes well on the side of this light and fresh pasta dish? In keeping with our Italian theme, thought I'd try out one of Tuscan inspired sides in my book, Fava Bean and Mozzarella Salad. I adapted the recipe using creamy, buttery, Buffalo Mozzarella. Fava Beans are more readily available in Spring so if you aren't able to find them fresh in Summer (I wasn't), feel free to use canned Fava Beans as we do below. They came out very tasty. Of course fresh is ideal both for taste and because fresh Fava has a lovely green color. If preparing the Fava Beans fresh, simply bring a pot of salted water to a boil, drop in the beans, and return the pot to a boil for about a total of 2-4 minutes. Drain them in colander and rinse with cold water. Split the pods open and slip the beans out of their pods. Also, Marjoram and Lemon are a classic Italian flavor combination. If you haven't explored yet, I suggest you check it out. Place the Garlic, Mozzarella, Marjoram, Lemon Zest, Lemon Juice, Oil, Salt and Pepper to taste in a mixing bowl and stir to incorporate. Add the Fava Beans and toss gently. Taste, and feel free to adjust ingredients to your preference, perhaps you like it more lemony? Preparing this one day ahead will allow flavors to blend well. Try to let it sit at least 4 or 5 hours if you can't prepare in advance. Give it a toss, garnish with optional Parsley and serve at room temperature. If your guests are bean shy, you can always serve a smaller dollop of bean salad on top of a bed of greens or herb salad. Few fish are more East End than Striped Bass, or Striper, as it's affectionately called on the Forks. Once again, I chose an Italian-inflected preparation of this local catch from my cookbook, opting for a roasted Bass enhanced with capers, olives, and crunchy croutons. Enjoy it with a dry Chardonnay -the book suggests North Fork Macari Vineyard Reserve Chardonnay. 3/4 Cup store bought Croutons - unseasoned if possible. Lightly oil an oven proof serving platter large enough to hold all fillets in one layer. Place the platter in the oven while it is preheating. Lightly rub the flesh side of the Fillets with Garlic, Salt, and Pepper to taste. 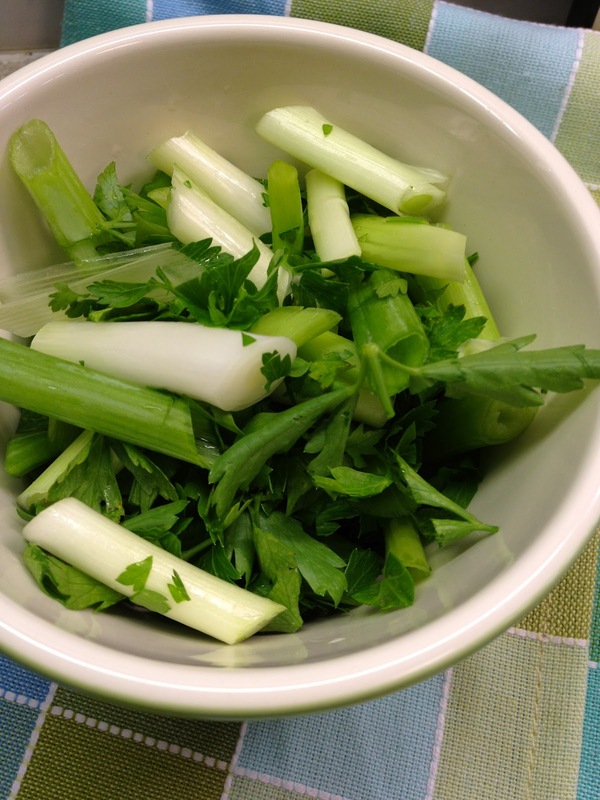 Combine the Scallions and Parsley in a bowl and set aside. When ready to cook, remove the platter from the oven and place the fish, skin side down, on it. Reduce the oven temperature to 375. Scatter the Parsley and Scallion mixture over the Fish Fillets and then scatter the Tomatoes and Capers on top. Drizzle Fillets all over with Extra Virgin Olive Oil. Remove fish from the oven and scatter the Croutons and Olives over the fish. Return fish to the oven and bake another 3 to 5 minutes longer until Fillets are springy to the touch. Serve straight out of the oven on the hot platter, seasoning with a little extra Salt and Pepper.